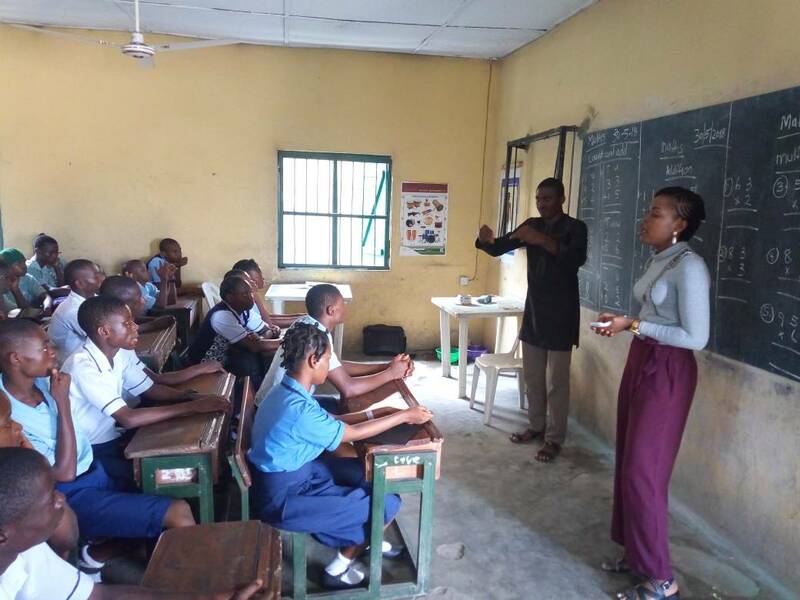 On the 30th of May 2018, Team S-DELI Rivers State had a remarkable outreach at the School for the Deaf, Borokiri, Port Harcourt, Rivers State to establish the first Deaf Debate and Readership Club in the history of deaf schools in the State, and possibly in the country. Team leader, Ms. Chioma Imoko, program leader, Mrs. Joy Jenyo, two seasoned signed language interpreters, Mr. Joel Alphonsus and Mr. Ohakwe Onyediziri were the makers of history on this unprecedented outreach, which also marked the flagging off of our Deaf Literacy Development Program, scheduled to kick off in Abuja and Rivers State in the year. The highlights of the program included the introduction of S-DELI mission by Chioma Imoko, which emphasizes our commitment to the total development of Deaf in Nigeria, especially the deaf children, motivational speech by Joy Jenyo, which accompanied the video of successful deaf persons in the world, including the deafblind icon, Haben Grima, the birthday celebration of deaf students born in May with a cake donated by Remix Cakes as a side attraction of the program. After all said and done, the peak of the program was the launching of the debate and readership club and the giving out of 60 copies the first reading materials to the students – the novel “Tears of an Orphan” was the first book to be read. A total of 14 students signed up for the debate club, while 12 signed up for the readership club. Team S-DELI would come at least once in a month to have the students who have read the book ‘tell’ the story of the book they have read; the best 3 ‘storytellers’ in signed languages would receive incentive awards, after which the first topic of the debate would be discussed. This is how the project would run throughout the year and beyond. The students and staff of the school were so delighted with the team and expressed their gladness to have the program brought to them. Students had many questions to ask about how to become successful in life, and the team did their best in answering their many questions. Joel Alphonsus and Ohakwe Onyediziri equally did an excellent job of interpreting through the entire event. Several group pictures were taken by the team with the students and the staff. 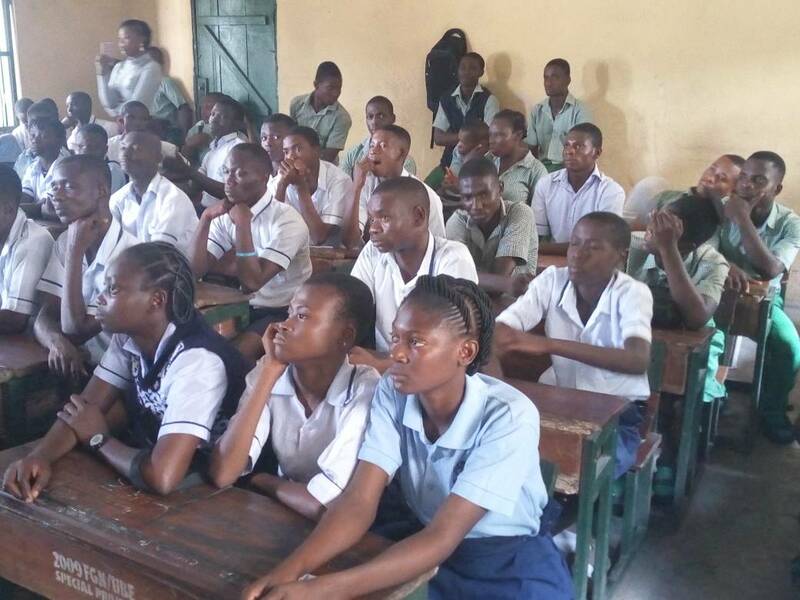 A total of 57 students from the Junior Secondary class 3 and the Senior Secondary classes participated in the program, and the program lasted for about 3 hours. We request your support to sustain this program. you can donate the next set of books to be read.